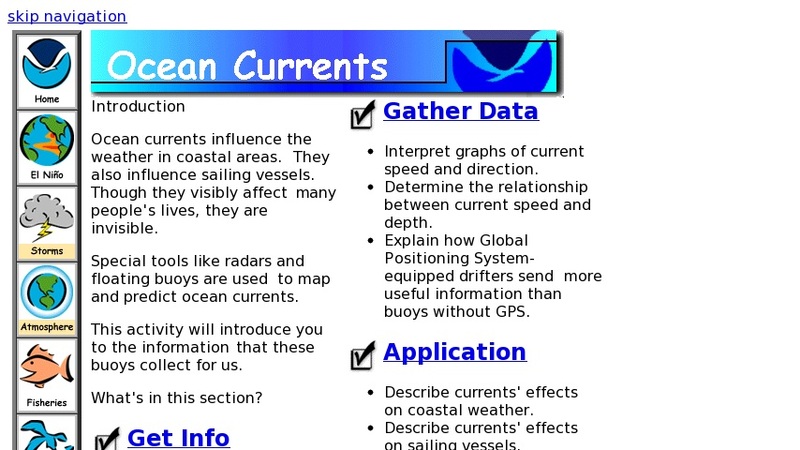 Teaching activities that explore the ways currents are mapped and how they affect us. Includes background information, data, applications, and additional activities. Links to related sites, as well as a wealth of similar NOAA lessons covering a variety of marine and environmental science topics.